›Kingston Brass KB8928DX Concord 8 in. 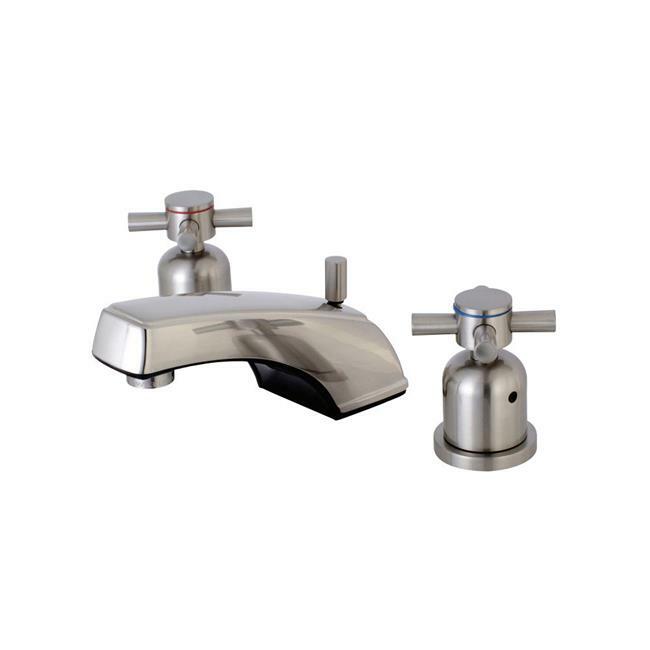 Widespread Lavatory Faucet, Brushed Nickel - 13.48 x 9.9 x 3.34 in. Kingston Brass KB8928DX Concord 8 in. Widespread Lavatory Faucet, Brushed Nickel - 13.48 x 9.9 x 3.34 in. Inspired by the sleek curves and styles of contemporary design, adorn your home ensemble with this widespread lavatory faucet from the elegance of the Concord Collection. Furnished with the excellence in material build composition of solid brass, zinc alloy and ABS, the faucet is equipped with a durable washerless cartridge. Take pride in your bathroom ensemble with the addition of the finishing touch of this widespread bathroom faucet.